According to observers, often bureaucrats sans critical training in business are at a disadvantage, forcing many to arm themselves with an MBA. Gaurav Agarwal topped the prestigious civil services examination in 2013. The top rankers among the selected candidates for the Indian Administrative Service (IAS) always make news, but Agarwal's profile also kept him in the limelight. He holds the unique distinction of being an alumnus of IIT Kanpur and IIM Lucknow. Agarwal believes his technology and management background will aid him in his role as an IAS officer. And, as he joins the service, he is likely to meet many who share similar qualifications. Indeed, a small but growing number of bureaucrats also have an MBA degree. This trend has been discernible for at least over a decade now. In fact, such bureaucrats are labelled IIM-G, or the IIMs in government. "Being a professional certainly helps you in public service, and it is not as if civil service does not equip you with management capabilities. In fact, it does," says Vinni Mahajan, who graduated from IIM Calcutta before joining the IAS in 1987 from the Punjab cadre. She was posted in the Prime Ministers Office (PMO) between 2006 and 2009 and is now back home as principal secretary in the Department of Health and Family Welfare, Punjab. With focus on economic growth in India, there is immense need for business-savvy bureaucrats. There is a growing need for more IAS officers with professional expertise because some cross-over of talent to the private sector is inevitable, says former bureaucrat Shailesh Pathak, who spent 16 years in the government before shifting to the private sector in 2006. Pathak has an MBA from IIM Calcutta and has also studied at Oxford University's Said Business School. He is now Executive Director at Bhartiya Group. "As the economy has started to inch up and there is action from the government, there will be greater demand for bureaucrats with relevant experience from companies," says Pathak. Doing business is still highly complex in India and bureaucrats, with their understanding of the Indian system, can prove to be invaluable to private companies in decoding the policies and laws governing different sectors. A recent World Bank report points out that it takes about 27 days to establish an entity in India, 182 days to obtain various construction-related clearances, 67 days to get an electricity connection, 92 days to register property, 28 days to get a loan, and, among other snafus, 20 days for export and 11 days for import transactions. Anjali Bansal, Managing Director, Spencer Stuart, says there has always been a need for bureaucrats in the private sector. Bansal should know. 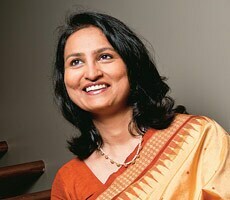 She has mandates for leadership and board-level search from MNCs and large Indian organisations. "A bulk of that demand will be from the infrastructure, power and telecom sectors and there will be growing demand for bureaucrats in advisory roles, in company boards or as directors," she says. According to observers, often bureaucrats sans critical training in business are at a disadvantage, forcing many to arm themselves with an MBA. The other new trend is that industry today is seeking younger bureaucrats with à clean record and with no obvious political bias. Many bureaucrats have opted out of the system. Consider the example of Ashwini Vaishnaw, Vice President - Locomotives & Head Urban Infrastructure Strategy, Siemens. Vaishnaw spent nearly 15 years as an IAS officer. He started off as Collector of Cuttack, then became Deputy Secretary in the PMO and subsequently Deputy Chairman of Mormugoa Port Trust in Goa. "This is when I decided to further my skills and graduated from Wharton in 2010," he says. But there are die-hard believers in the system - those who dream of doing selfless service. Some have rejoined IAS after taking time off to do an MBA. Srivatsa Krishna is an example. He is now Secretary, Department of IT, Biotechnology & Science & Technology, Government of Karnataka. A 1994 batch IAS officer - he topped the civil services exam -who has been credited for pioneering e-governance, he also went on to become the first serving officer to finish his MBA at the Harvard Business School. Krishna went on to do a short stint at the World bank before rejoining the IAS. "I came back to my first love, IAS, to work in public service, which is both meaningful and challenging," he says. But, Prof. G. Ramesh, Chairperson of the think tank Centre for Public Policy (CPP), IIM Bangalore, insists that there are few believers in the system today. The CPP runs the country's leading Post Graduate Programme at IIM Bangalore and has pioneered the application of management disciplines for delivery of public services and governance. "My hypothesis is that the opportunity cost is high. Today, pay packages in the private sector are high and students find it hard to sit and prepare for the civil services exam, especially after they have done an MBA," says Ramesh. Agrees Arijit Ghosh, President, Honeywell Aerospace, who quit the Indian Foreign Service after eight years in 2003 to do his MBA at Harvard Business School. "When you join the services straight after graduation, there is a significant gain as there is an immediate jump in stature but this wanes after sometime," he says. In fact, students and young professionals often prefer to work with the government from the outside. Consider the example of Dinesh Chand, a 2011 pass out from XLRI Jamshedpur. He was associated with EY for two years. He subsequently took a sabbatical and worked for Dinesh Trivedi, MP from Trinamool Congress. Since December last, he has been with Swaniti Initiative, an organisation that delivers developmental solutions by working with elected officials on issues of health, education, gender and livelihood. Take the case of 27-year-old Vashistha Iyer, a National Institute of Fashion Technology graduate, who after two years at an export unit decided to work for PRS Legislative, an independent research initiative. He subsequently got the Legislative Assistants to Members of Parliament (LAMP) fellowship. The fellowship places one legislative assistant with one Member of Parliament (MP). Iyer has not looked back since. He has been working with P.D. Rai, Lok Sabha MP from Sikkim, from 2012. Iyer is now about to join Rai's son who has floated a political brand consulting firm called Raisina Hill. Entering civil services is not an option for either Chand or Iyer. "I have seen enough bureaucrats and I know what it is about. There are frustrations and I can do enough from the outside,"says Iyer.